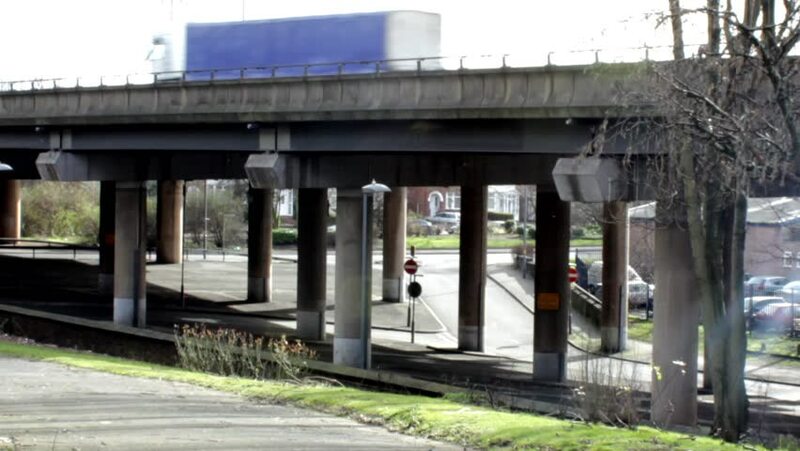 Traffic on the motorway bridge and view of the street under the bridge - accelerated - Brookvale Road, Birmingham, UK. sd00:26STEYR, AUSTRIA - JULY 19: Steam Locomotive in railway station on July 19, 2006 in Steyr, Austria. hd00:08British Railway: A pan and track shot across the front of an old-style British Rail diesel train standing in a traditional English rural train station.